As the global financial crisis unfolds, each country responds by seeking to protect its own institutions and economies. New Zealand is no exception. The steps we have taken have been sensible and – so far – effective in shoring up our economy as well as we can against the immediate prospects of worldwide recession and financial meltdown. Soon, however, we and others must lift our eyes to more distant horizons – not just further into the future, but across a wider spectrum. The responses that must now be made cannot be merely national in scale, but must take an international dimension as well. And it is when we look to that international landscape that we get a real sense of the change that has taken place. The world has truly shifted on its foundations. The agenda moving forward and the ideas now being discussed are now hugely different from anything that was thought worth considering even a few months ago. Three years ago, I wrote a book called The Democracy Sham: How Globalisation Devalues Your Vote. In it, I developed the thesis that the global economy had dangerously sidelined democratically elected governments who found themselves no longer able to withstand the pressures placed upon them by international capital. The result was that unregulated markets were in effect out of control, with no restraining influence exercised by those we elected to protect us from the abuses and excesses perpetrated by a greedy and powerful minority. I canvassed a number of solutions to these pressing problems. Some were national in scale, involving changes in national economic policy – a widening of the goals of that policy, a willingness to regulate the “free” market, a proper role for government as opposed to bankers, and a greater concern for social justice. Other proposals, however, addressed the international scene. New Zealand has more than most to gain from a better regulated international financial structure. We would benefit greatly from less volatile exchange rates, from some diminution in the huge daily flows of “hot money” around the globe, and from a more prudent policy on the part of those who have driven the credit creation on which the global economy has perilously – and fatally – depended. Many of these ideas were no doubt dismissed as irrelevant, possibly eccentric, even dangerous and misguided. What is now intensely interesting is the extent to which this kind of thinking has now – in a remarkably short time – entered the mainstream. A striking indicator of how the picture has changed can be found in the debate on the world economy that has just taken place in the United Nations. 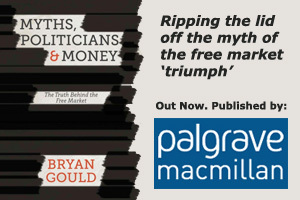 Some of the world’s leading economists – like Joseph Stiglitz and Prabhat Patnaik – have presented papers in which they look to a new agenda going forward and are prepared to consider proposals that only a short time ago would have been regarded as anathema by most commentators. They have, first of all, re-stated the fundamental dilemma identified by John Maynard Keynes, the twentieth century’s greatest economist. Keynes drew a distinction between investment and speculation. Investment took place, he said, in the real economy and produced new productive capacity. Speculation, on the other hand, was a phenomenon of the financial economy, took place on a short timescale and for short-term purposes, and was often undertaken irresponsibly. The only way, he said, that speculation could be reined in was by regulating financial markets, and this was essentially a task for national governments. Stiglitz and Patnaik go on to call for action, not just to deal with the immediate crisis, but to make deeper reforms. They want a reform of bodies like the the IMF and the Basel Committee on Banking Regulation, and “a new Bretton Woods” – a UN-brokered international agreement which would regulate the international movement of capital and the volatility of exchange rates. They want a new international financing facility. They make these calls in the interests of a better balanced world economy, and not least to help the Third World which has lost out as a result of both the creation of the credit bubble (in which they had no share) and now its subsequent bursting. The economists are in effect reminding our political leaders of their responsibilities, and telling them that they can no longer leave these important matters to unregulated markets. In placing these issues back on the agenda, these economists (who are backed up by an increasing number of leading thinkers around the world) are putting our own New Zealand leaders on notice that they, too, must respond with an increased understanding of what is now expected of them. There is a real opportunity for New Zealand to throw its weight behind, perhaps even to help lead, a drive for a new international agreement that would redress the balance of power in favour of democratic governments and against irresponsible markets and thereby protect us all against further instalments of the kind of damage we are now suffering.